The Deluxe rear fender was designed to fit on stock 2018-up Harley Fat Boy and Breakout models. 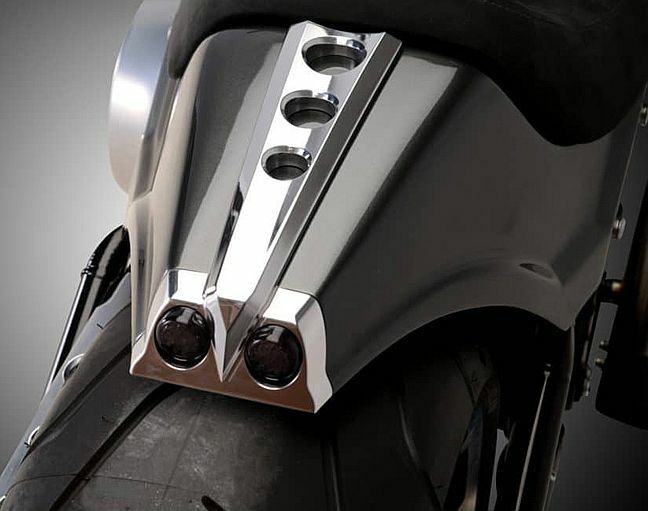 It is made of fiberglass and features a unique billet aluminum insert with tail lights for a rich and stylish look. The stock Harley seat will not fit, so you will need a local upholstery shop to fabricate one on the seat base we provide. Kit includes rear fender, aluminum insert, taillights and seat base. It looks great combined with our matching front fenders, dash covers and front spoliers.